Learn what you can do to make a second income by rummaging through your own belongings, to find those things that you already own that you can sell NOW for cash. I had a similar problem. I wanted to make money, now, but I didn't want to go out and get a second job. You CAN make a second income by selling your own clutter on EBay, then expanding your new business by purchasing small, valuable items from local thrift stores, dollar markets and swap meets. And many more valuable tips and essential information. Don't let another day go by without taking action to make some extra money to help you get caught up and even head. Get your copy of this book NOW. Scroll up and click on the BUY NOW button! 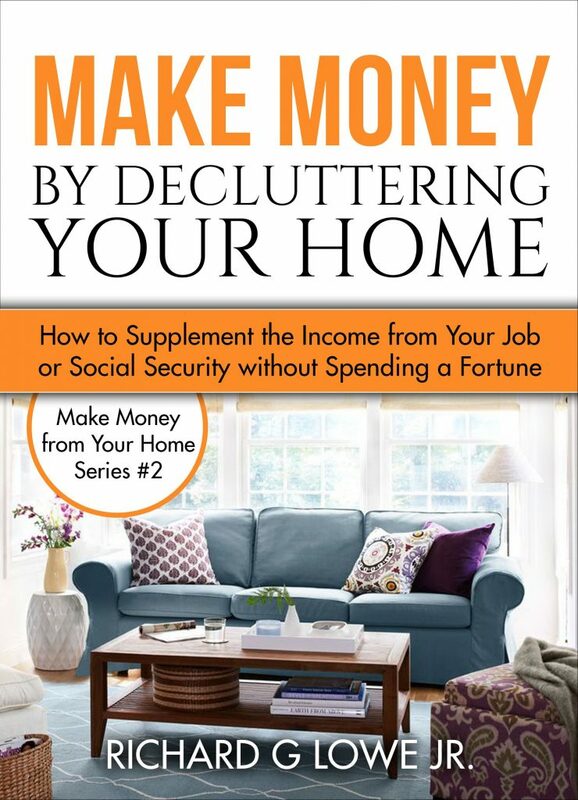 This book, is a step by step introduction to selling what you don’t want & being able to make some money, maybe not a lot but, a little helps, especially, when your cleaning out your closets, garage & you have a yard sale, like we did, we were moving & needed to see what we could sell & the rest donate! I used suggestions & I formed a plan, so for a month we sold & donated! Very helpful! !